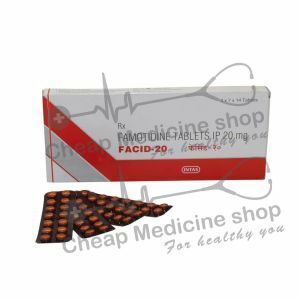 Facid 40, that contains 40 mg of Famotidine, is manufactured by Intas Pharmaceuticals. It is mainly marketed and supplied by the company and its associates in India and is available at every leading online pharmacy, drugstore and medical supply store. 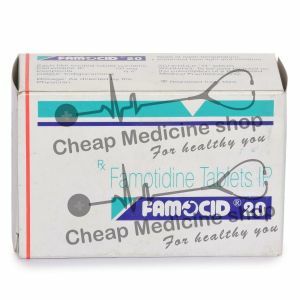 Facid 40 contains 40 mg of Famotidine. Duodenal Ulcers: They are a type of peptic ulcers mainly affecting the upper part of the small intestine. They are mainly caused by an infection of bacteria called Helicobacter Pylori. Peptic Ulcers: It is a medical condition in which ulceration occurs in the stomach lining or in the upper part of the small intestine. The common causes of this disease are bacterial infections by Helicobacter Pylori, chronic use of NSAIDs and tobacco abuse. The common symptoms of this disease include vomiting blood, stomach pain, loss of appetite and abdominal fullness. GERD (Gastroesophageal Reflux Condition): It is a digestive disorder which mainly affects the muscles of the esophagus and the stomach. It is a long term condition where the stomach contents come back up into the esophagus. The main symptom of this condition is heartburn. Gastric Ulcers: They are a type of peptic ulcers mainly affecting the stomach. They are mainly caused by infection of a bacteria called Helicobacter Pylori and due to chronic use of NSAIDs. The drug acts by competitive inhibition of histamine H2 receptors of the gastric parietal cells. Gastric parietal cells are located in gastric glands which are responsible for HCl secretion. By inhibition of these cells the drug reduces the amount of HCl secreted to stomach. 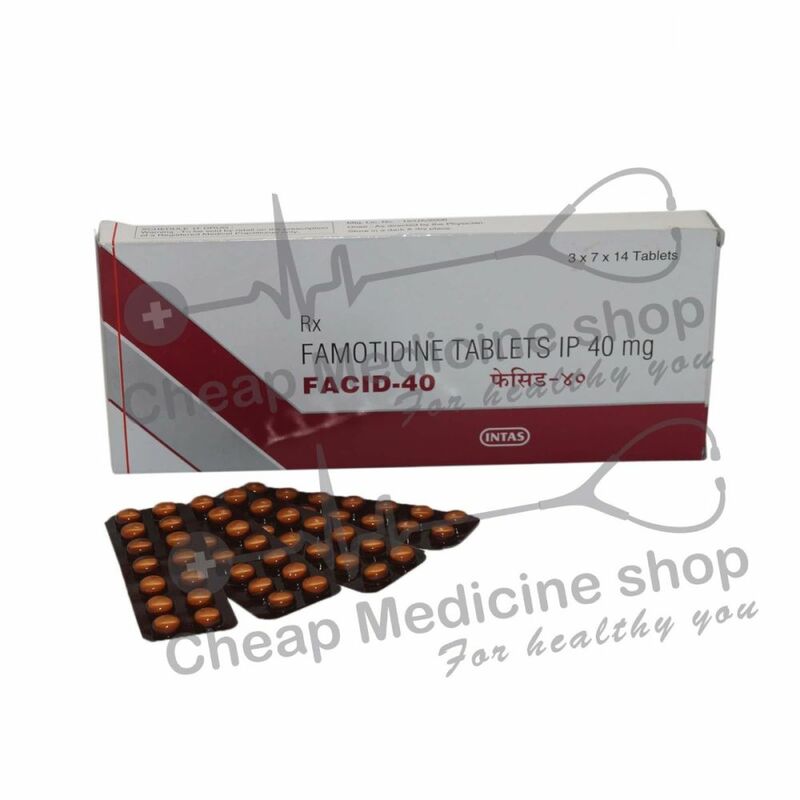 Facid 40, that contains the salt Famotidine, can be taken with or without food. If you are using this drug once daily it is better to take it at night. If you are using this drug for self-treatment or for treatment of heartburn then take the 15-60 minutes before food with a glass full of water. 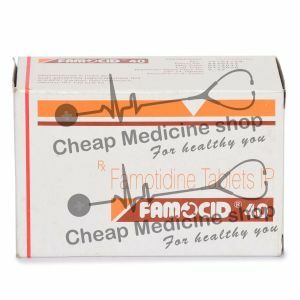 Famotidine, the active salt present in Facid 40 is to be taken usually in dosage which ranges from 10mg to 40 mg and is available at all the leading online pharmacies, drugstores and medical supply stores. A more specific dose can be directed by your physician. If you have stomach cancer. If you have a history of long QT syndrome. Inform your doctor of all the medicines you are taking. Do not take Facid 40 if you have allergic reactions to the salt or any of the excipients present in the formulation. Allergic reactions like rashes, hives, itching, tightness of chest, etc. Possible effects of an overdose may vary from person to person. Seek medical care as early as possible in case overdose of Facid 40 is suspected. If you have an allergy to Famotidine or any of the excipients present in the formulation. If you are allergic to any drugs, food items or substances. If you have any intolerable side effects. Before you start taking any new drug. Do not drink alcohol while using this drug because it can increase the damage to stomach.